realKNX is a complete system to visualize and control a KNX installation. The configuration is done through an ETS product database without any third party software. That means the configuration Visualisation, Voice Control, Logical Functions and Augmented Reality is automatically loaded from proServ in run-time. realKNX not only supports the popular online voice assistants but also Snips. 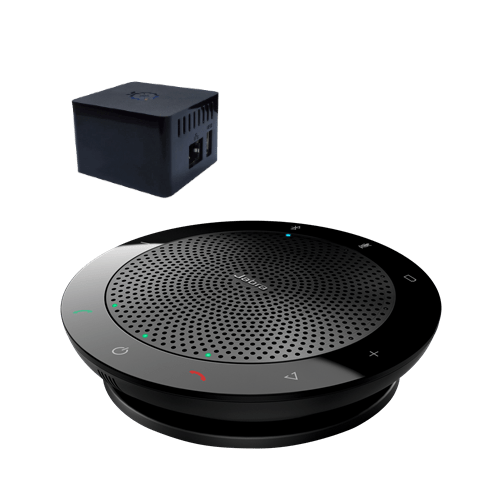 Snips is an offline voice assistant which runs on the device and thus guarantees your privacy. In addition, it is easer and quicker to install compared to other systems. 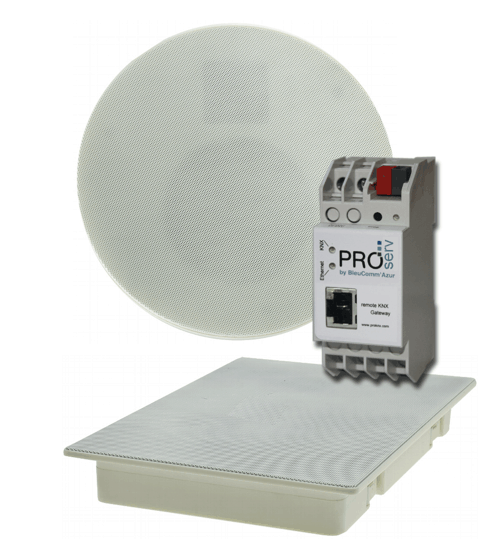 The realKNX O-two package is composed of two units a speaker/microphone with integrated server and a KNX-proServ. In addition to the functionalities mentioned above realKNX Air also support Google Home and Alexa as well as remote connection. Moreover, this solution is ideal for home automation, you can use different assistants in the same installation. For voice control with Snips you will need a realKNX Satellite. 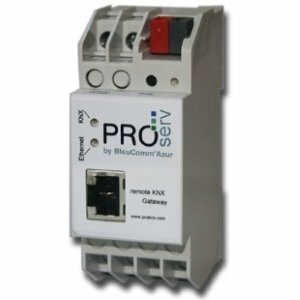 The realKNX package is composed of a server and a proServ. realKNX Satellite is the table unit for offline voice control with Snips. The advantage of this product is that each device can be parameterised for its room, so that only the space-related commands for light, shutters and heating are understood, without having to spell the room name. 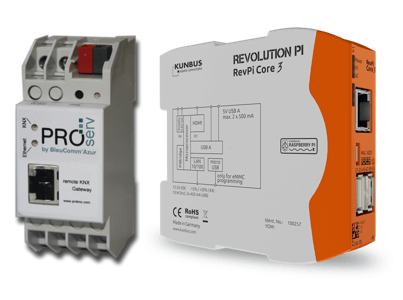 realKNX Satellite can be used as a extension for a realKNX Air or a realKNX O-two installation. The realKNX Satellite is composed of a Jabra speaker/microphone and an Ethernet adaptor.